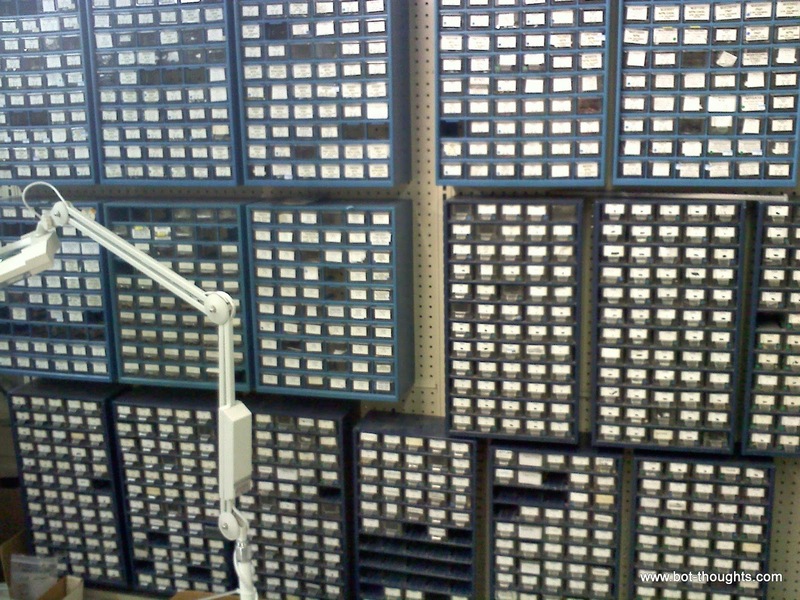 The shop isn't huge, but it's jam packed with some new stuff and a lot of surplus parts. 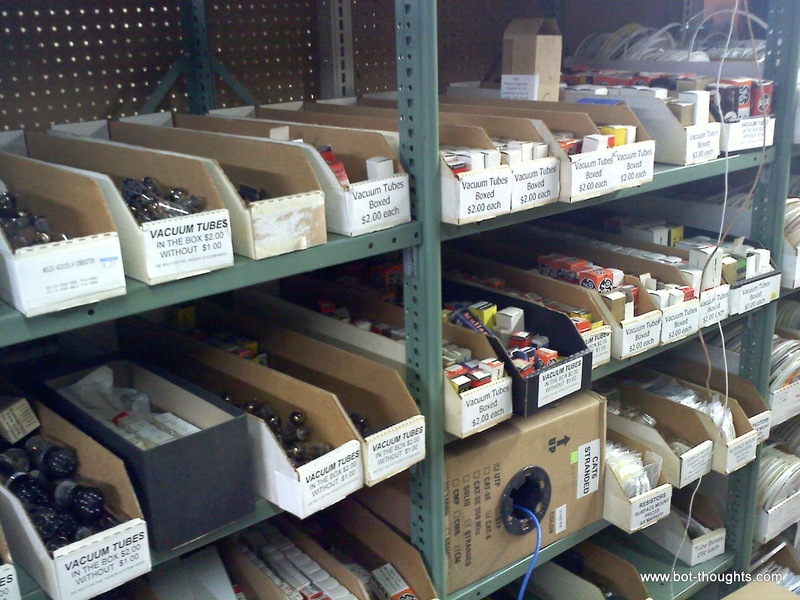 Loads of different potentiometers, transformers, relays, logic chips, SMD passives, wire, enclosures. It's really nice to be able to pick up and see and feel the part before you buy it. Think that's impressive? They have another wall of 'em. 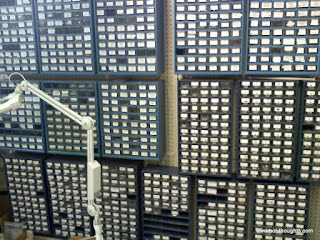 Yes, they have just about every DIP logic IC you can imagine in various families: F, S, LS, HCT, 4000, etc. 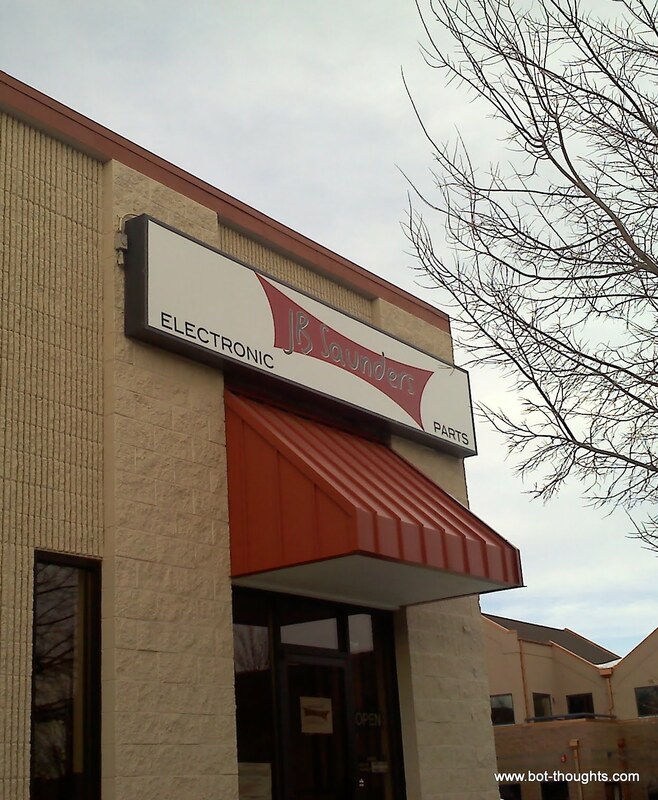 I've had trouble finding some of the more obscure ICs lately. They had 'em. 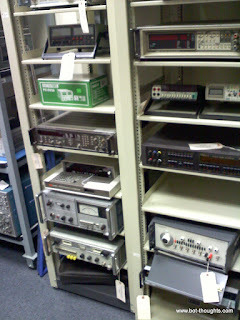 They also have a rack stuffed with used instrumentation, primarily oscilloscopes, but some other standard gear as well. 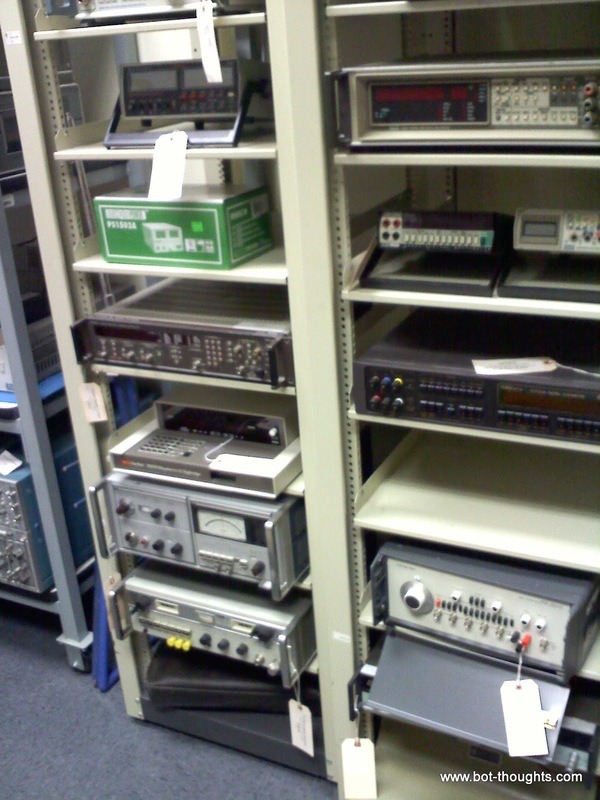 I had to chuckle when I saw none other than a Hitachi V1050F just like mine sitting on the shelf. It was like finding an old friend. And they have tubes! 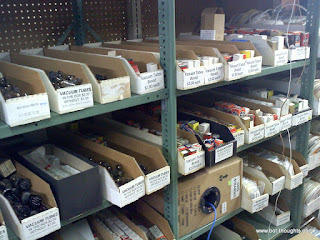 Lots and lots of tubes. 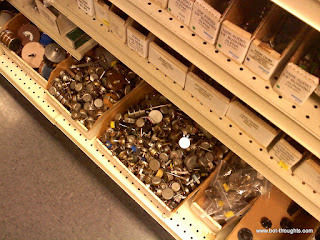 I didn't see a lot of the type of audio tubes that are really commonly used or popular. Sorry, no 12AX7's. But I recognized a few I've run across before. They have a ton of other miscellaneous tubes that I didn't even begin to recognize. I ended up dropping $80 at the place, but I came away with useful stuff that I can't find elsewhere, or if I could, I'd have to pay for shipping. I got several microscopic Hammond 1551F enclosures, a handful of air gap variable capacitors in various values for some radio projects I'm doing, a couple of old control knobs, a bunch of LEDs (I hate to run out), magnetic coil wire, stuff like that. In all a fun day. It's tough for me to get up to Boulder often. Not a lot of free time for that but I'll get back eventually. If you're there, you can't miss a chance to visit this place! 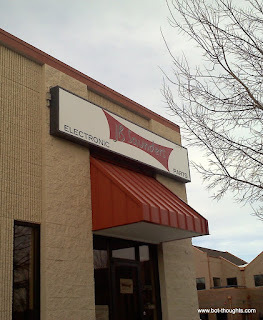 This place is geek heaven! Now, it might be a blessing in disguise that it is not conveniently located, or it could break the bank!